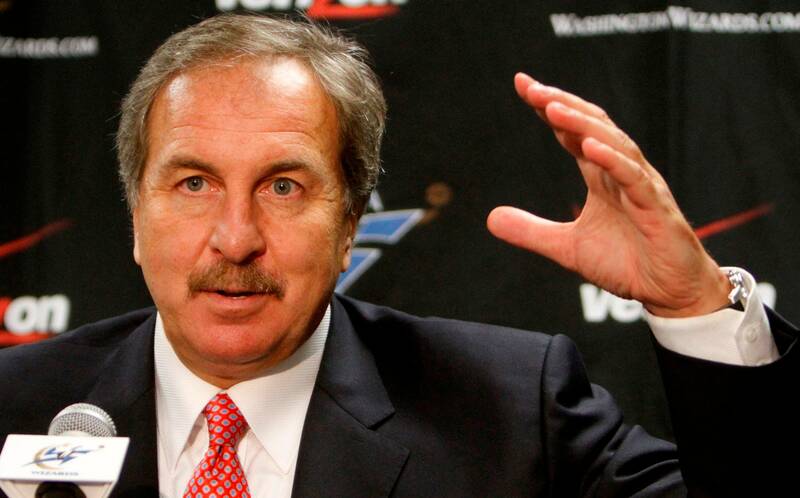 This is Ernie Grunfeld’s 11th season running the Washington Wizards. During those years, the team has compiled the league’s third worst winning percentage. Wizards fans have long joked about the team’s penchant for getting off to bad starts before winning a string of meaningless games in April. That trend is so entrenched that we dubbed the quintessential Wizard, Andray Blatche, April Fool’s Dray. But, as with so many things NBA, a comment on the RealGM message board got me wondering… Do the Wizards actually play better late in the season? If so, how much better? So, I looked up the team’s record month by month under Grunfeld’s leadership. So, the team’s best month under Grunfeld is January — a time when the Wizards look almost like a playoff team. They’re pretty close in April too, though resembling a 35-win team is even a little less playoff-like. Here’s what jumps out at me, though: Just how low are the standards of Wizards fans? The April hey, the young guys are playing well and the Wizards are winning some games thing has become an annual ritual. Call it The Coronation of the Scrubs. But even in that “good” month, the Wizards have been a failure. Even if they played a full season at the lofty level of April or January, they’d still be a lottery team. As Thom Loverro might tweet, a Monumental record.